Even though your ears are small as compared to your arms or legs, they are loaded with highly sensitive neurological fibers. It is usually the reason why you often have to deal with an itch in ear canal. Some people's ears are relatively more sensitive, so they may have to deal with chronic itching. 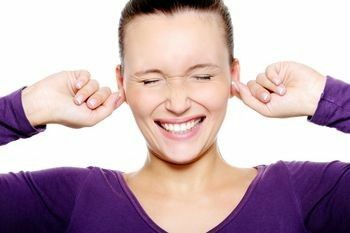 However, your itchy ears may also highlight another underlying condition. It is therefore important to understand the causes of itchy ears to determine how to correct this condition. You may have to deal with itching if your ears don't produce enough earwax. This usually leads to dry ears and you may even notice flaking skin dropping out of your ears. The condition is the inflammation of the skin in and around your ear canal, and usually results from an allergic reaction. Most people face this situation when they use a beauty product that contains an ingredient they are allergic to; a reaction to the metals in earrings may also cause ear canal dermatitis. An ear infection or otitis media can cause severe pain and make your ears feel itchy. If you're a swimmer, you're more likely to experience this condition because the outer canal of your ear becomes infected, and the infection will cause swelling and redness. Psoriasis is a common skin problem that usually produces a red rash on your skin. Although psoriasis usually occurs on visible parts of your body, it may also appear behind or inside the ears, which can cause itchy ear canal. If you're usually exposed to humid environments or swim in polluted water, you are more likely to develop an ear infection. Contaminated water can enter your ear canal and cause an infection. Sometimes, the excessive moisture will wash away earwax, leaving your ears dry and itchy. The itching will prompt scratching that will damage your skin and even infect your external canal as well. Several other factors may also cause an itch in ear canal. This may include stress, medications, and extreme heat or cold. In rare cases, severe ear itching can be a symptom of a more serious and life-threatening condition, so it is important to set an appointment with your ENT specialist to rule out serious issues such as anaphylaxis. You can relieve the itch with some simple and effective remedies. After identifying the cause, you can try some proper remedies from the below options. Although wax is for protection, too much wax may cause itching and pain as well. Don't insert anything in your ears to clear wax buildup. Simply lie on your side with your affected ear facing the roof. Now place hot washcloth or a warm water bottle over the ear. The heat will do the trick here and soften the wax. You may use cotton tipped swab to clear the softened wax. Take painkillers like ibuprofen or paracetamol to relieve your ear pain. Avoid ibuprofen if you have stomach or asthma problems. Ask your doctor if you're not sure about anything. Don't go swimming until your ear infection has cleared completely.